MaaS360 stores all corporate emails, documents, contacts, applications, data, etc. separate from personal content. This content is kept in a secure and encrypted container folder on your device. To access this container, simply press on the MaaS360 icon. This will open the container folder and all corporate utilities will become available to the user. Any red indications on the top right inform the user that there are new items. Within the red indication are the numbers of new items that are available. Tap on the Settings icon to get to the container and application settings. The UI for the settings will differ between the OS the device is running on but most of the functions will remain the same. However, Android allows for user control than iOS. 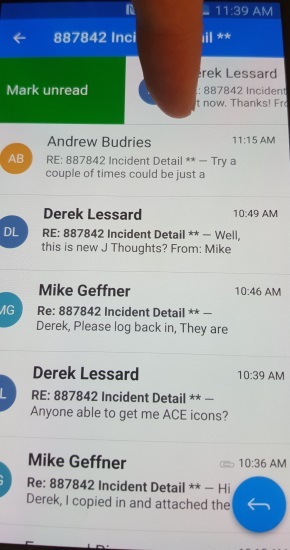 My Device – Shows the details of the user’s phone. Allows user to remove MaaS360 MDM, change the account, send logs, support links, etc. 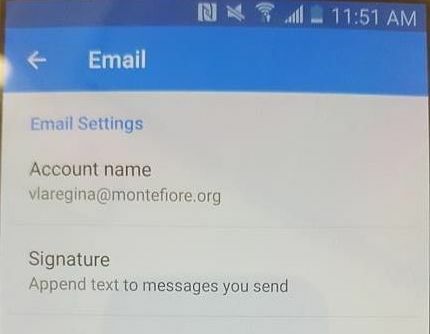 Opening the Email settings will allow the user to change various functions of how the email app will function. Scrolling down to the notification section, a user can personalize how they receive device notifications for email. 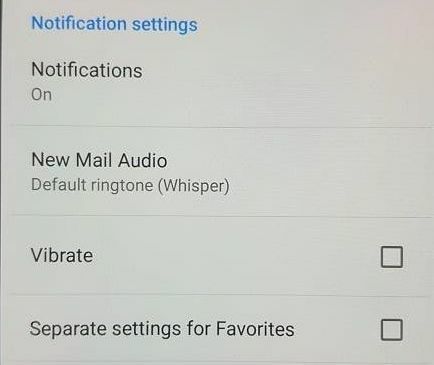 Tapping on Notifications allows the user to turn on all notifications, turn off all notifications, or turn on notifications for only favorite contacts. A user can choose to have the phone vibrate on by checking the Vibrate option. Scrolling down further, the user will find the sync settings. Note: By default, the sync dates back to one week. Most users prefer a longer period, so it’s recommended to change this setting to one month. Other useful settings include, but are not limited to are: reply settings, text size, download attachment options, etc. Similar to email settings, opening up the Calendar allows the user to change the functions of how their calendar operates. 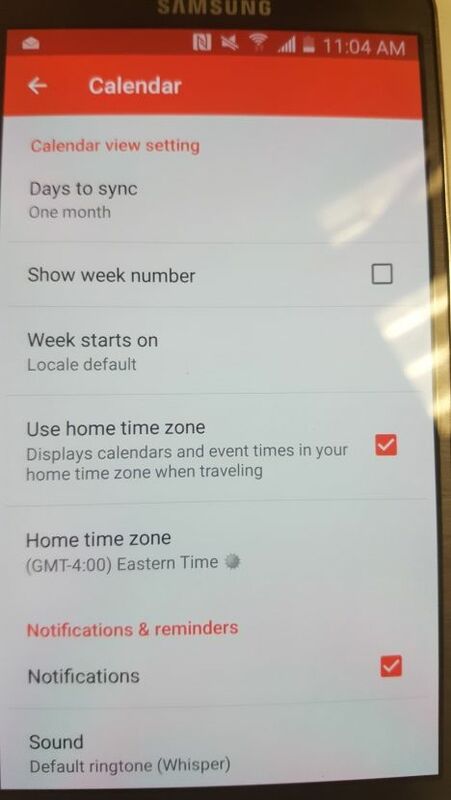 The user can set the time period the calendar syncs. Functions that can be change include, but are not limited to: time zone, start of week day, notifications, reminder time, etc. The Contacts settings will allow the user to change the way the contacts are listed. 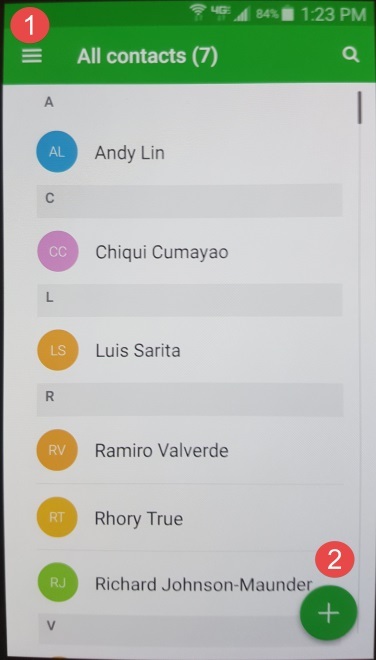 They can sort by first or last name. 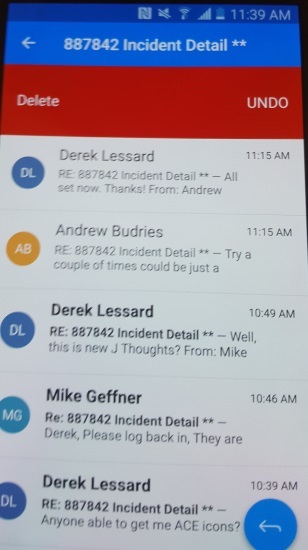 The contact list can be last name shown first and vice versa. 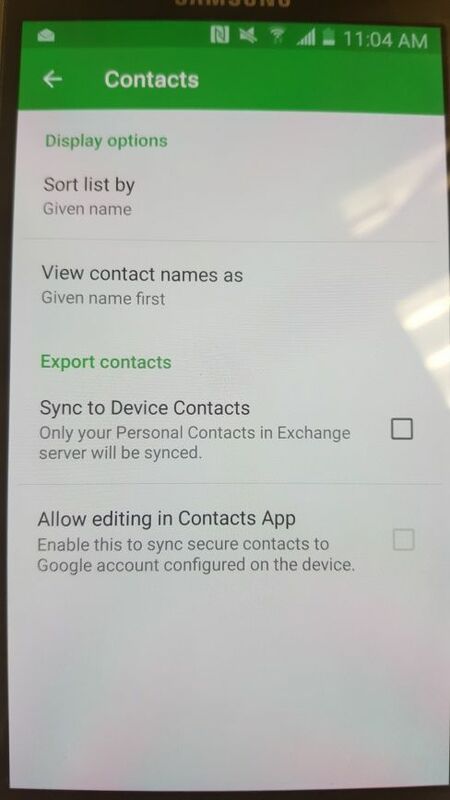 The user can also export these corporate contacts onto the native device contacts list by enabling the Sync to Device Contacts function. Tap on the Device will allow the user to view information about your device. Pressing on the options/tab button (usually left of the home button) will open more available options. 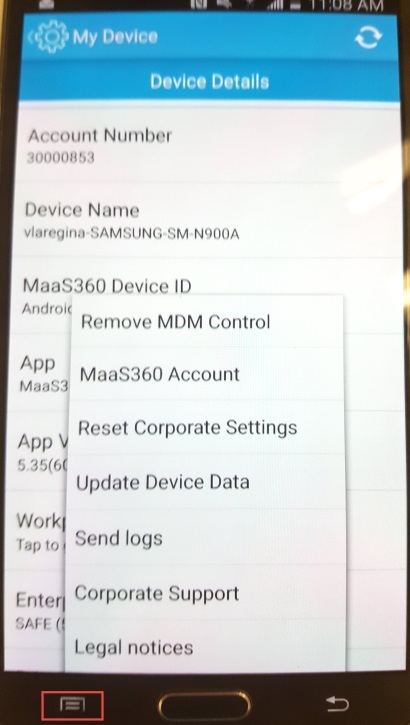 The user can remove the MDM control from their device, send logs to the MaaS360 administrator, find the support information, etc. 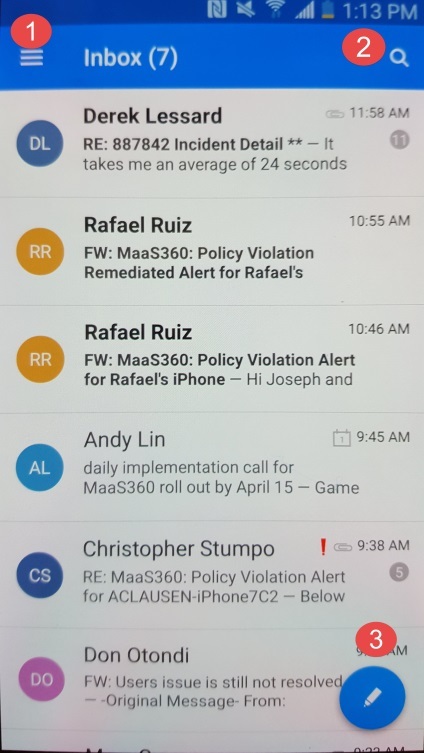 MaaS360 Secure Email protects all the content of your corporate email, contacts, and calendar. 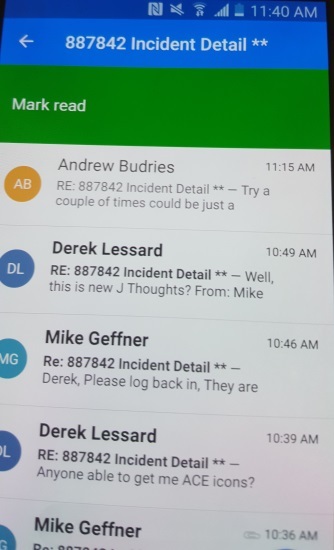 Depending on the user settings, all information that falls under these three categories will be synced and made readily available inside the MaaS360 container. 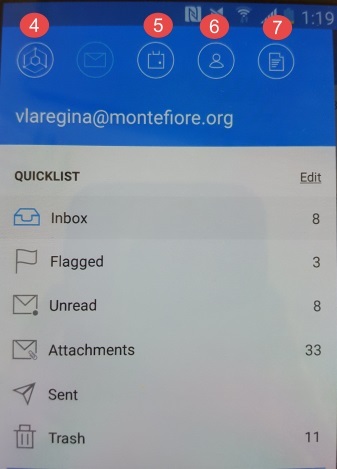 Note: Due to Montefiore policy, users cannot copy/paste content out of the container, but users will be able to copy/paste content into the folder. 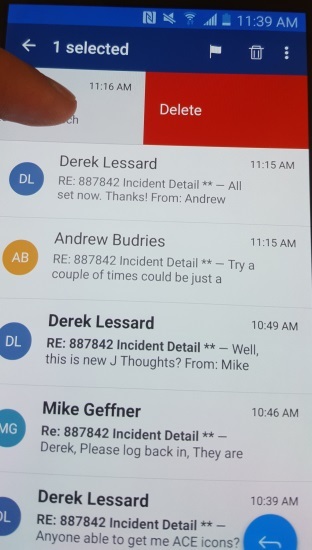 Tapping on the email icon will open up the user’s corporate email inbox. Depending on the user’s settings, the inbox will sync all emails ranging from one day to one month. If there are multiple emails within a thread, a small gray icon with a number will indicate how many emails there are. Opens up the options window. 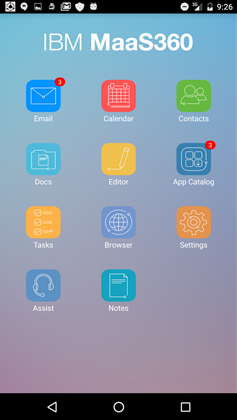 User can navigate to different folders, the MaaS360 home screen, calendar, contacts, or notes. 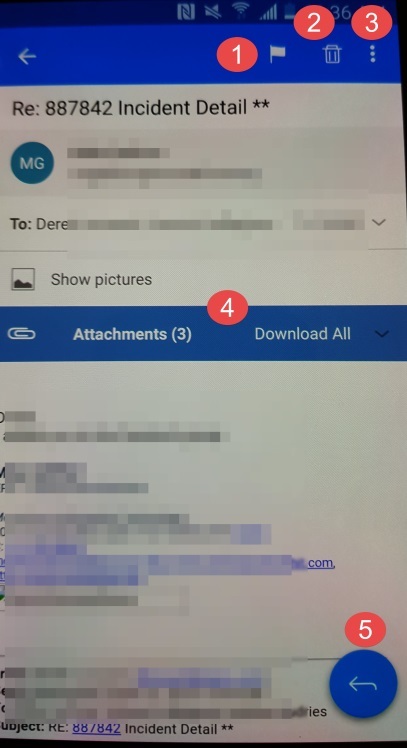 Pressing on the Sender’s icon on the left side of the email will open up options for this specific email (A user can also press multiple email threads). Swiping left to right will mark the email as unread. Swiping right to left will delete the email. Opening up and viewing an email will offer the user multiple functions. If there are multiple emails in the thread, the user can swipe to left to review the older messages. Opens up the options to mark the email as unread or move to a different folder. Tap on the icon to enter the outlook calendar. 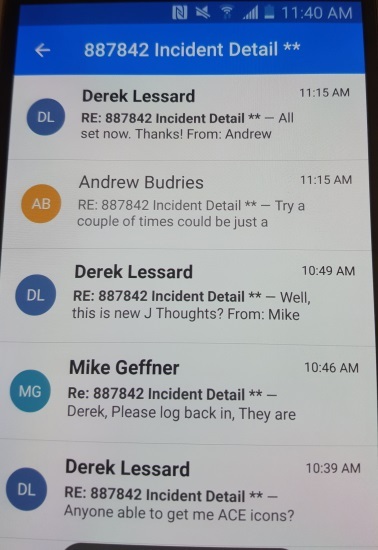 Much like the email, the user can set up the sync settings ranging from 1 day to 1 month. The default calendar screen will list show a list of all calendar events for the user’s selected time period. 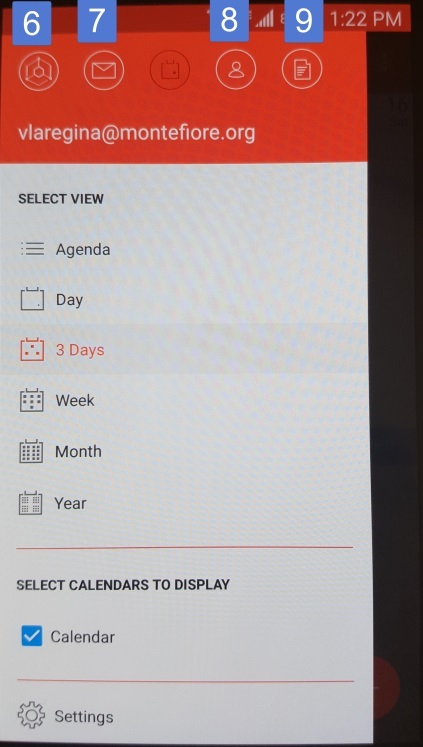 Android allows the users to show their calendar in wide array of options: Day, 3 Days, 1 Week, 1 Month, 1 Year. Tap on the icon to open up the user’s outlook contacts. 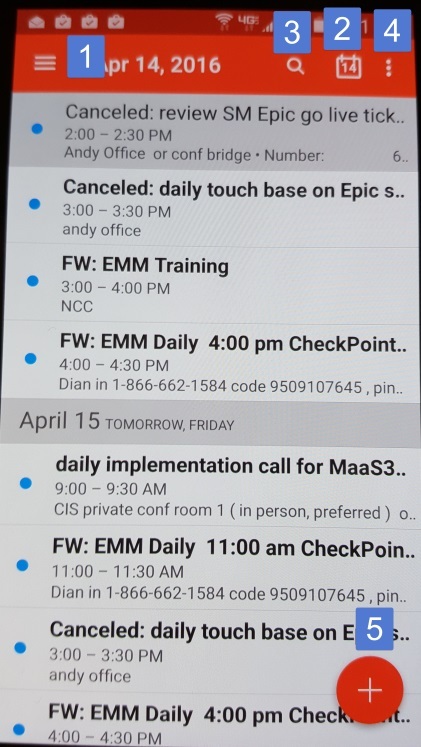 Much like the email and calendar, the user can open on options menu by tapping on the 3 horizontal line icon found on the upper left hand corner. The user can navigate to the other outlook-based apps from there. 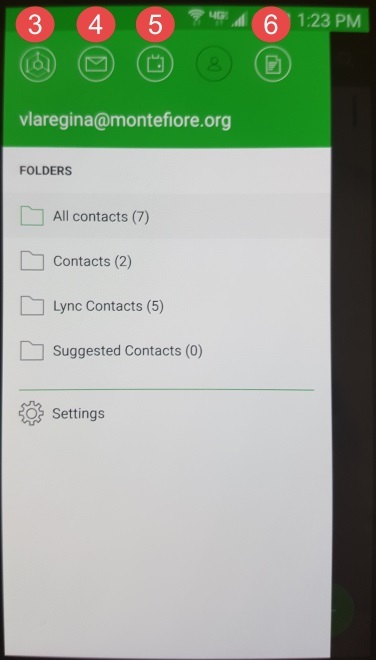 A user can also sort through their contacts from the options menu.